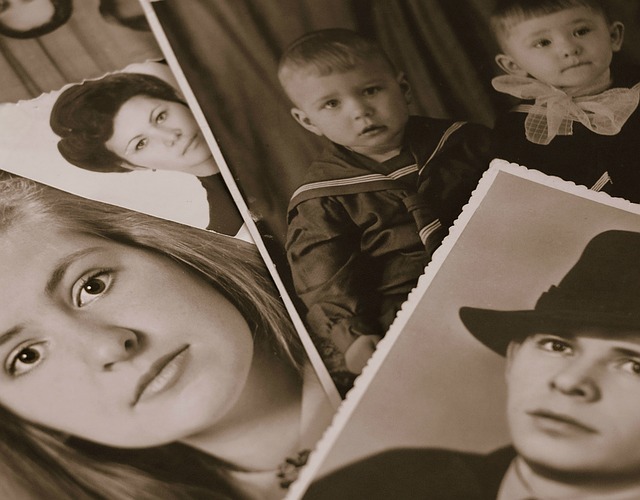 Read more about What Legacy Do You Want to Leave Behind for Your Family? When you’re struggling to answer the question, “How can I leave a legacy?”, you should keep in mind that hundreds of other people have answered it by creating a Peoplepedia profile! You may be the only one who can craft your legacy, but you can at least receive advice and suggestions from other Peoplepedia users who have already made the choice to leave a legacy. When you decide to leave behind a legacy with Peoplepedia, you are making the choice to leave behind something substantive and meaningful for your family and other loved ones. A Peoplepedia profile means so much more than a tangible heirloom, sum of money, or nothing at all. And best of all? Creating a profile on Peoplepedia is, and always will be, completely free! The beauty of the internet is that it’s updated constantly and it’s available to a huge portion of the global population. Of course, not everyone currently has internet access, but according to Wikipedia, about half of the world population does! Since the creation of the internet, information is widely available online. Not only is it accessible via computer, but also via a host of mobile devices. Before too long, the internet will be accessible to everyone, everywhere. Now that people like you and me who live all over the world have access to the internet, it creates opportunities to share life stories, information, ideas, and like humans have never been able to before. Peoplepedia not only embraces this development but invites you to participate in the movement! Our website is entirely comprised of autobiographies written by people all over the world. These stories by global authors help us to achieve our mission. The thing about legacies is that leaving one behind means you’re not around to manage it anymore. The message that you leave for others after you pass on will remain as it was on the day you died. Eventually, you will no longer have the ability to tweak, revise, or enhance it. Your life is only so long, and once it’s over, any unfinished work is going to stay that way – unfinished. During your life, you must take the initiative to start sculpting your legacy in preparation for your departure. After all, it’s impossible to finish something you never start! For this reason, we strongly urge you to manage your digital legacy proactively. If you continue to wait, you could miss your chance. Instead, secure your digital legacy by signing up for Peoplepedia. While we can’t control everything about us that winds up on the internet, we certainly have the ability to control some of the content. The content that speaks the loudest is content we publish ourselves: from the source, straight from the horse’s mouth, or however you want to say it! If you want to manage your digital legacy effectively, you must create it for yourself. Don’t leave it to other people to leave traces about you on the internet. Take the reins and decide for yourself what you want the internet to say about you and your life. How Can I Be Remembered After Death? Read more about How Can I Be Remembered After Death? A question that plagues many of us is, “How do I want to be remembered?” Just after we’ve lost someone we know, this question takes an especially central position in the forefront of our minds. Perhaps we attend a funeral, memorial service, wake, or another event to mourn the passing of someone we know. We observe the other people there, see how they’re behaving, look around at the photos and other sentimental props, and exchange stories with others about the person we’ve lost. No matter what culture you come from, everybody has a different way of mourning their dead. Most cultures hold some kind of special event to celebrate the life of the person who’s passed, which is attended by people who knew and cared about that person. Attending one of these events always makes me ponder what I want to be remembered for. As I’m currently remembering someone else, my mind always wanders to how I want to be remembered when it’s my turn to be mourned. At so many of the funerals I’ve attended, the deceased person didn’t leave any instructions or provide any guidance to their loved ones for how exactly they wished to be remembered. It’s left in someone else’s hand to use their best judgment and plan the best memorial service they possibly can, but there’s no substitute for being remembered the way you want to be remembered. Have you ever considered what will happen to your digital life after death? Though sweeping generalizations can certainly not be made, it’s fair to say that most people have at least one profile on a social networking site – be it Facebook, Twitter, Instagram, Myspace, or any of the other plethora of options out there. What happens to your social networking site profiles after you die? And more importantly, what do you want to happen to them after you die? On many social networking sites, your profile will simply slip away into the oblivion once you stop logging in. Many social networking sites don’t promote the addition of truly meaningful content to user profiles, so surviving friends and family members don’t find any reason to continue visiting a deceased person’s profile after their passing. For example, once you stop tweeting, will anybody really go back and reread the archive of your previous tweets after you’re gone? Tweets are such brief snippets of thought. It’s hard to even get a complete sentence to fit within the character limit imposed on tweets. Death is a part of life, and everyone must come to accept this. Preparing for your death can ease the process not only for you, but for the people you leave behind when you pass on. Sure, there’s a will to be written and material possession to divvy up, but what else should you leave behind after you die? The truth is, material possessions can only accomplish so much when it comes to leaving a legacy after you die. Heirlooms may be valuable in monetary terms, but they don’t capture your heart, soul, and spirit. Wearing your grandmother’s locket or keeping your father’s favorite cuff links in your jewelry box may bring back memories of that person when you look at them, but what if you could actually bring back a piece of that person instead? No, we aren’t talking about black magic or reincarnation. We’re talking about encouraging the people you love to create Peoplepedia profiles alongside you so that you can all leave your legacy online. Creating a Peoplepedia profile is the ultimate piece of you that you can leave behind after you die. Unlike heirlooms or sums of money, your Peoplepedia profile will contain your heart, soul, and spirit. Instead of leaving behind something that’s empty, leave behind a Peoplepedia profile that’s full of your thoughts, realizations, and wisdom.